"HELD FOR RANSOM! Kidnappers demand atomic secrets!" 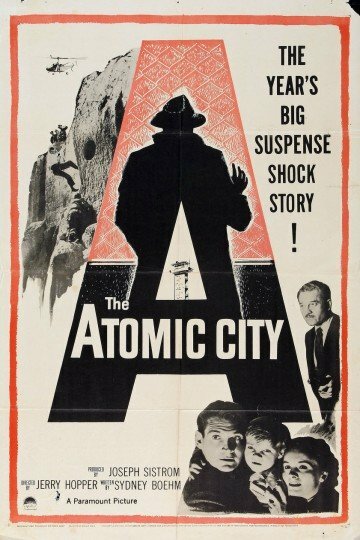 Los Alamos, New Mexico is the site of a top secret "atomic city", where it's inhabitants work feverishly on creating the atomic bomb. But when a scientist's son is kidnapped by the enemy, a man must decide which is more important: a secret that has the potential to kill millions or his son's life. The Atomic City is currently available to watch and stream, buy on demand at Amazon, Google Play, iTunes, YouTube VOD online.